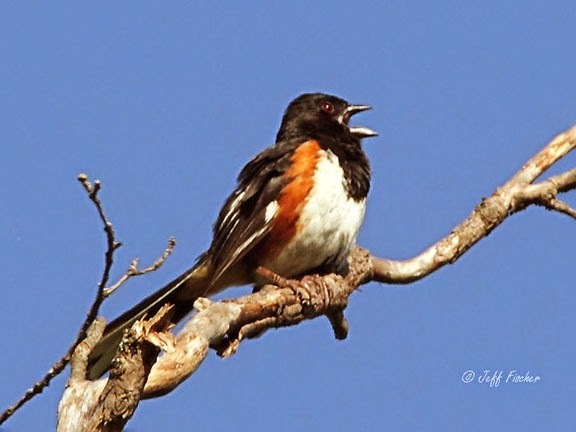 The eastern towhee is a passerine found in the eastern half of North America. 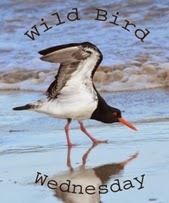 They nest from the Mississippi River to the Atlantic Coast and as far north as southern portions of Canada. Birds in the northern portion of the range migrate to the southern United States for the winter while birds in the southern portion of the range stay on territory year round. 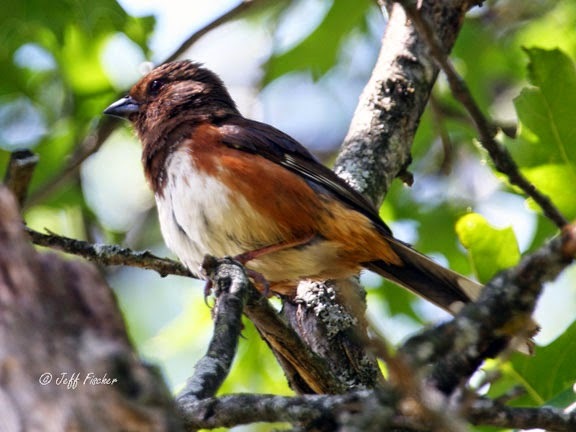 At one time the spotted towhee, from the western United States, and the eastern towhee were considered the same species and were called the rufous-sided towhee. It was decided that there were enough differences between the two to break them into two different species. There ranges do still over lap in central North America and the species will still interbreed with each other. This is the female eastern Towhee. I imagine it's a LOUD bird! I can see they are similar birds Lovely captures of birds I never see in the wild. Thanks for sharing your pictures and info! I've captured a few images of a juvenile Eastern Towhee, but haven't seen a parent yet. Great photos of this bird! Wow, there really are a lot of differences in the two kinds of towhees and I am surprised they were once considered the same species! Nice photos. I would love to see this bird. Our western towhee is so dowdy in comparison, but still I'm quite fond of them. Often they scratch like chickens and seem to be quite like ground birds. In addition ours seemed to be quite attached to their mate. I loved their quite musical "pink, pink". We had a couple of pairs in our the yard at our last house. Here, in a different habitat, though only a mile away from the other, I haven't seen any yet.